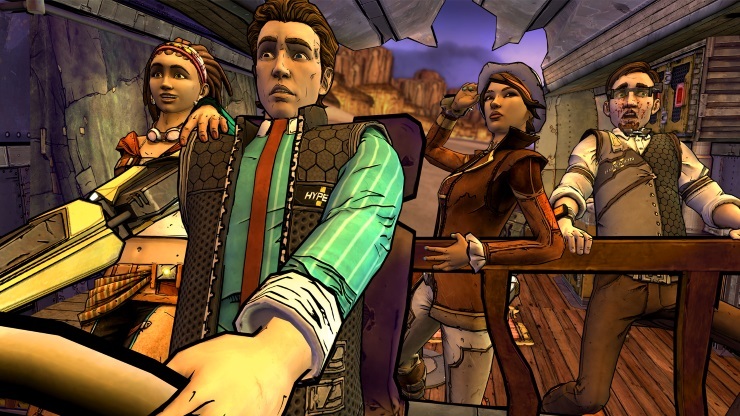 As is always the case, Telltale’s games are heavily focussed on story. As such, this review assumes you’ve played episode one, but won’t spoil anything from episode two. Let’s not beat around the bush here, Atlas Mugged has been a bloody long time coming. After a fantastic opening episode, it’s got a lot to live up, and I’m pleased to say it’s brilliant. I wanted to feel annoyed that it’d been such a long wait, but even the opening line (which directly takes the piss out of how long the wait was) somehow managed to get me back on side immediately. It’s mostly because the writing is so sharp. 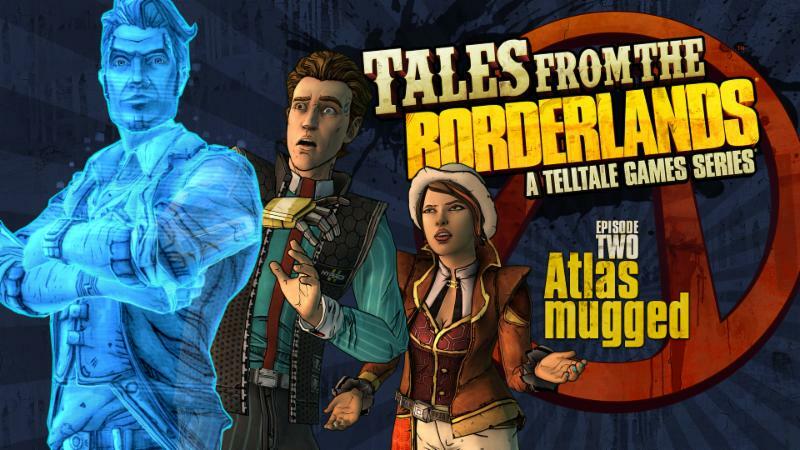 It’s difficult to think of ten games that make you laugh out loud when playing them, but Tales from the Borderlands does it with such ease that you wonder where the writers have been hiding. 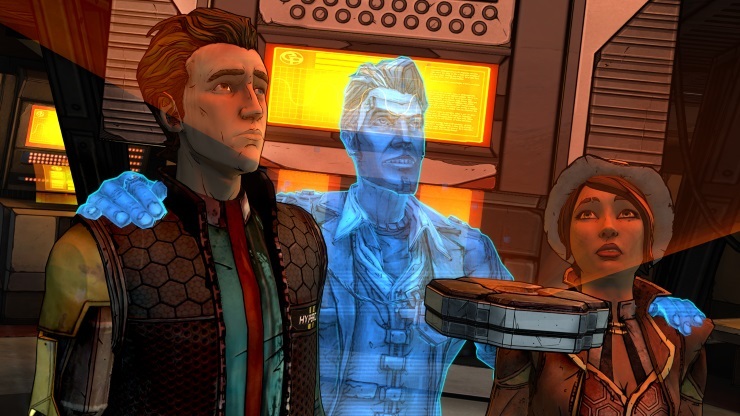 Self aware, they totally, absolutely continue to understand the Borderlands universe. Nothing makes sense, but that’s okay – it’s all just in service of itself. 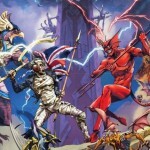 Although there are multiple moments that made me chortle, there were two that had me guffawing. I won’t spoil them, but they are high points in a superb episode that took just under two hours to finish. The story continues apace, and we learn more about both Rhys and Fiona as it progresses. 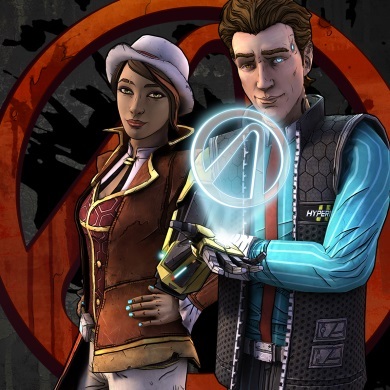 Returning characters are welcomed, and the reveal of Handsome Jack at the end of Zer0 Sum is a stroke of genius, as he continues to, well…just be himself. It’s worth noting, actually, that this really is an all-star cast of voice actors: Nolan North, Troy Baker, Chris Hardwick, Patrick Warburton (who is superb again), and the absolute star of the show, Laura Bailey – her Fiona is just outstanding every time she is onscreen. Loader Bot remains a huge highlight, having the best line of 2015 so far. Atlas Mugged also stakes an early claim for the “best late title card” award, as (just like the opening episode) it breaks the extended intro sequence up with a slow-mo scene, accompanied by music that is so well chosen, the scene feels made for it. 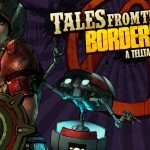 And that’s the thing, everything about Tales from the Borderlands feels like the ultimate Telltale experience. Music, voice acting, story, the writing; it all just marries together so well. There are often parts of the experience that feel as though they’re added to offer longevity, but here, exploration is rewarded with comic-beats. 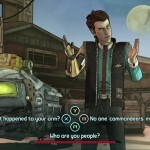 Here, choices feel both dramatic and important, and some are even immediate – something that doesn’t always happen in this type of game. The realisation that by playing both Fiona and Rhys, you’re playing into the way things actually work, is a lovely one. One minute the two groups are separated and you’re finding out what happened to them while apart, and the next you are switching roles, almost having discussions with yourself. But the manner in which you feel as though you’re shaping relationships, and also getting to explore Pandora in a different way (while fan-service is doled out, too) is just splendid. Going back to the start of the game, there is one thing that needs addressing. Telltale can only afford this long a wait between episodes the one time. Playing fast and loose with people’s cash is one thing, but doing so with their memory is another. 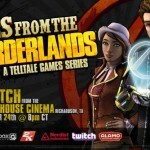 Here’s hoping this is Tales from the Borderlands back on track with a regular release schedule, because I struggled to remember my meaningful choices from episode one, and I suspect many others will, too. 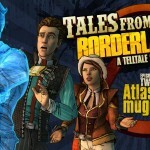 You wouldn’t take a three-month break from a riveting TV show, and you wouldn’t do it with a game that left you hungry for more, which is what happens with Atlas Mugged. Episode two isn’t without technical issues, though. It’s nothing major, but there were a few hiccups in the engine that could be ironed out to create a more fluid overall product. As the story progresses and the quality holds firm, I feel like this could well end up being something I say every time a new episode rolls around: this might actually be Telltale’s best series, and that’s something that just seemed impossible when it was announced. Took way, way, way, way (seriously) too long.